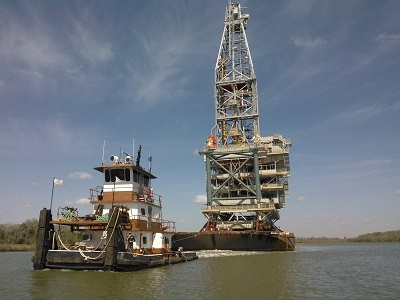 Echo Marine, Ltd. is an independent, family-owned and operated marine towing service based near the Houston Ship Channel in Highlands, Texas. We provide premier inland towing services to a variety of customers and industries along the Gulf Coast. The company was originally established by Captain Tom Echols in 1972, with one man and one tug. We now own five of our own vessels, and contract as many as needed to meet the demands of our growing customer base. We also provide deck barge rentals upon request. Our growth is due entirely to the reputation for performance and service we have built over more than 40 years in the business. In fact, we owe almost every new customer to a positive word spoken by someone else we've had the good fortune to work with. You might say our reputation precedes us, and we can't ask for better advertising that that! Find out more about the services and the people that set Echo Marine, Ltd. apart.